Merkel cell carcinoma (MCC) is a rare type of skin cancer which is also known as neuroendocrine carcinoma. It is not only a rare type of cancer, but also a very aggressive form of carcinoma. Even after the treatment, merkel cell carcinoma poses a threat of relapsing. If not diagnosed and treated in time merkel cell carcinoma can be fatal also. In most cases, merkel cell carcinoma has been known to affect people after the age of 50. Merkel cell carcinoma gets its name because of the similarity between merkel cells of the skin. Treatment for merkel cell carcinoma should begin as soon as possible and the treatment depends upon the extent to which the merkel cell carcinoma has metastasized. Merkel cell carcinoma occurs as a small tumor on the skin. It is an abnormal bump on the skin which may be of reddish blue or purple color. Though, it is believed that merkel cell carcinoma may be caused by long time exposure to sunlight, it can occur on body parts which are covered. But mostly merkel cell carcinoma occurs on the neck, face or head. Any suspicious bumps which is changing size or color or is bleeding could be merkel cell carcinoma. This carcinoma is because of the change in the merkel cells. Merkel cell are at the nerve endings in our skin. The actual cause of merkel cell carcinoma is unknown. It is believed that long time unprotected exposure to sun may cause merkel cell carcinoma. However, it has been found that presence of merkel cell polyomavirus could trigger merkel cell carcinoma. This virus is present commonly on merkel cell. So, exactly how merkel cell carcinoma occurs is not completely known. Merkel cell carcinoma can be caused to prolonged exposure to sunlight. Even uncontrolled light in tanning salons may cause merkel cell carcinoma. People with weak immunity are also likely to get affected by merkel cell carcinoma. People with more light or fairer skin may also develop merkel cell carcinoma. Merkel cell carcinoma can occur at any age; however, it is more common in people of older ages. Treatment for merkel cell carcinoma should begin as soon as possible. But despite the best treatment in most cases, merkel cell carcinoma metastasizes to the rest of the body parts. The treatment plan for merkel cell carcinoma in India begins with diagnosis of the merkel cell carcinoma. The diagnosis is done by physical examination followed by a skin biopsy before the treatment. In India, imaging tests are mandatory for determining the extent and type of the carcinoma. The most common and the best treatment for merkel cell carcinoma in India is surgery. During the treatment the skin around the suspected tumor is taken to understand whether the cancer has spread. A treatment known as Mohs surgery may be used in India. This treatment removes the carcinoma layer by layer. Therefore in this treatment in India, excess of skin is not removed. During the treatment the cancer is cut away from the skin. After the cancer is removed the treatment is continued with radiation therapy which is used to destroy the cancerous cell if there are any. 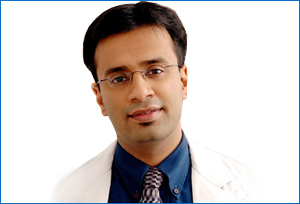 Dr. Shome, who is the top facial plastic surgeon in Mumbai, throws light on the treatment of merkel cell carcinoma. He says in India, often people come to him in Mumbai after a substantial delay in diagnosis and treatment. He regularly visits the top hospitals in Mumbai including some of the best cancer hospitals in Mumbai. He says a delay in treatment of cancer can be catastrophic. He believes India has the best of facilities today for treatment of merkel cell carcinoma and also India has some of the top cancer specialists. He himself deals with cancers in Mumbai that may have metastasized in to the ocular area. Mumbai has a large influx of patients from all over India who come for the treatment of cancer. Dr. Shome says that he has observed that his patients at his Mumbai clinic are the ones who do not understand the importance of applying sunscreen on top of skin. He says in India, people still forego sunscreen from the daily routine. The number of skin cancer patients who come to Mumbai is increasing alarmingly. Almost 50% of carcinoma patients who come to Mumbai often come very late for the treatment. Dr. Shome has performed the best treatment on numerous patients in Mumbai from all over India followed by reconstructive procedures. Because of lifestyle disorders, smoking, pollution etc. India is unfortunately struggling with increasing number of cancer patients. With levels of pollution up at dangerous levels in Mumbai, it is no wonder that many cancer patients belong to Mumbai only. Mumbai is well equipped with the top treatment facilities for cancer patients from all over India. People, who do not belong to Mumbai, can come to Mumbai for the best treatment of merkel cell carcinoma. Many cities of India still do not have the best treatment facilities or the top doctors for the treatment which is one of the biggest reasons for the large number of cancer deaths in India.